May session full. June session now open for registration. Do you compete in K9 Scent Work? Do you want to improve your search skills AND help answer important research questions about olfaction? This course allows you and your dog to move a nose closer towards impacting scientific research. The Penn Vet Working Dog Center (PVWDC) currently utilizes dogs’ elite olfactory discriminatory abilities to conduct several groundbreaking medical research studies, including detection of ovarian cancer and other systemic diseases. 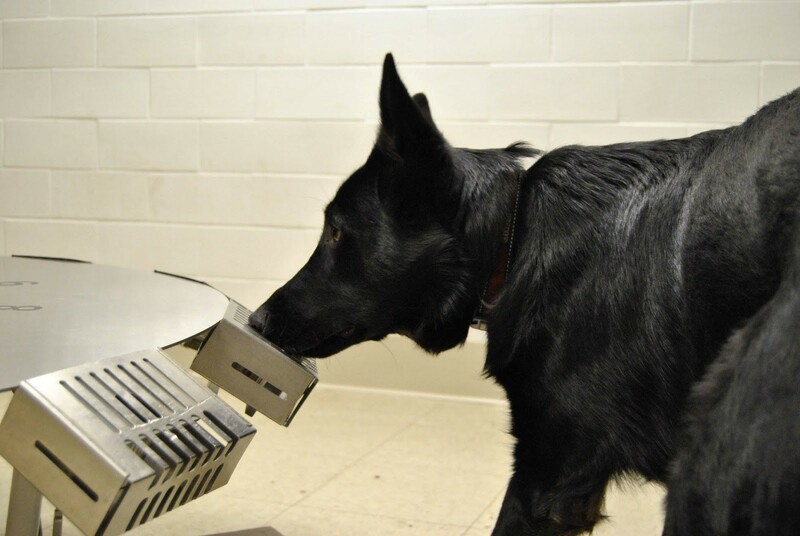 In addition, the center is extensively researching the olfactory threshold (the lowest detectable amount of odor) of working dogs and environmental or medical impacts on olfaction. Through this course the PVWDC team wants to extend an invitation and establish a long term research collaboration with citizens competing in odor work with their dogs. Learn more about our cutting edge Citizen Science program. Before registering, please read our cancellation policy. All classes require a minimum registration. If the minimum is not met, a full refund will be issued. If you have any questions about this class prior to signing up, please contact us at info@capable-canine.com. Dogs must be 8 months or older. Enrollment is limited to handlers and dogs who have titled at Nose Work Level 1 (or equivalent) or higher. No reactivity or aggression towards people. Dog reactivity or aggression is acceptable as dogs will be working individually. Effective 1/11/19 all dogs must comply with the Vaccination Policy. The set up for this course minimizes exposure to other dogs, however, there will be multiple people besides the handler in close proximity to the dog. Please honestly assess your dog's reaction. © 2019 Capable Canine All Rights Reserved.